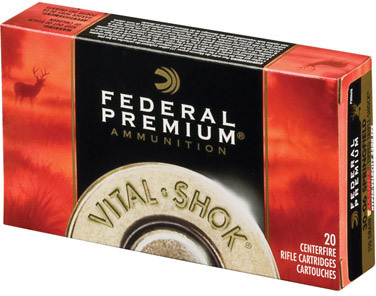 Premium vitalshok from the world leader in premium ammunition comes vitalshok your best option for medium to large game. You spend all year dreaming of the moment of truth, so why trust that moment to anything less. Vitalshok is available in the world's finest big game bullets, from the unrivaled Speer trophy bonded bear claw and nosler's latest offerings to Sierra and Barnes match that with world class brass, select powders and legendary primers and you get unmatched premium performance.